An ambitious company like DAEL regularly offers career opportunities. We aim to strengthen our company at all levels. And, with six subsidiaries under a single roof, we offer a wide range of career opportunities. At DAEL, you will work for a financially solid company with a healthy outlook. At DAEL, you can count on great terms of employment. You can of course expect a salary which fits your job position, and secondary terms of employment are very complete. You are provided with independent work and get a significant amount of responsibility, and there is room for your own interpretation and contribution. The working environment at DAEL is great, colleagues look out for and take care of one another. If you interested in our current career opportunities in The Netherlands, please visit www.werkenbijdael.nl and check whether we have job openings which match your interests, experience and ambitions. 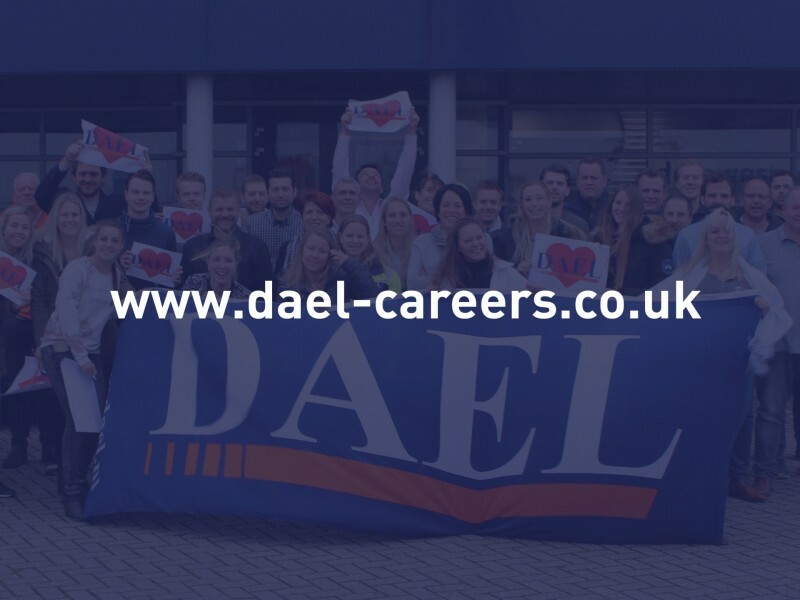 If you are interested in our current career opportunities in the United Kingdom, please visit www.dael-careers.co.uk. Check www.werkenbijdael.nl for vacancies that suit your experience, interest and ambitions.